The downstream oil industry within the Middle East region is developing at a rapid pace as new technologies emerge and new global markets open up, according to Fleming Gulf Exhibitions, the organizer of Gulf Plastics and Polymers Show (GPPS). Currently polymer sales within the Gulf Cooperation Council (GCC) region stand at US$23.8 billion and this is growing at an annual rate of more than 20%. Over the next five years, the number of polymer products produced within the GCC will double and by 2018 the total polymers capacity within the GCC is expected to reach 35.9 million tons. During the same period, 11.3 million tons of additional polymer capacity will come on stream and 22 per cent of this will be from new products. 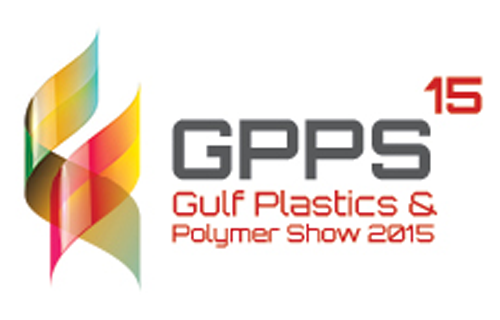 The Gulf Plastics and Polymers Show (GPPS) will run from September 8-10, 2015 in Abu Dhabi, United Arab Emirates (UAE). The show will also focus on the sustainable, biodegradable plastics, to cater for the growing demand of this side of the industry. GPPS is split into seven dedicated product zones: Plastic Converters; Machinery, Lab and Control Equipment; Polymers and Materials; Printing Solutions; 3D Printing; Recycling; and Plastics Products for Packaging and piping. “We are expecting our exhibitors to be showcasing the latest technologies and solutions to help our visitors to improve their manufacturing capabilities and increase their output. Through our seminars, workshops, panel and round-table discussions, over two days exhibitors also have the opportunity to speak to a captive audience, educating the market on the latest techniques available within the industry,” commented Alex Heuff, Exhibitions Director of Fleming Gulf Exhibitions.